In Part Three of 'The State of The Game' we speak with Steve Jinman who you can follow on Twitter @EducatedLeftFt and find his excellent website at Educated Left Foot. Steve is currently a director of Vanarama South side Maidenhead United and produced the club's match day programme for nine seasons. Thank you for talking to The Cold End Steve. 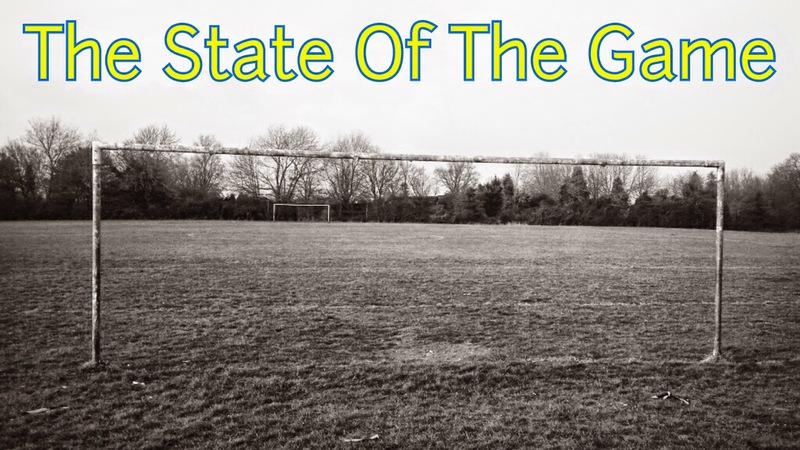 Please feel free share and keep reading for more interviews regarding 'The State of The Game'. I first attended a game in 1980 (at York Road) and became an Arsenal fan following my Dad's lead. I watched Reading with school friends between 1987-95 and whilst at University in Preston I often went to Deepdale. I started following Maidenhead regularly home and away when I returned to the south from University in the summer of 1994 starting a fanzine that Autumn mainly about Maidenhead United which lasted about four years and fifteen issues. At the same time I started helping out with the production of the programme and was editor for the 1996/97 season. I then took a back seat for a few years but I still went to pretty much every game. 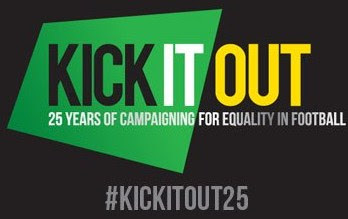 In 2003 I decided to get involved again and from then until 2011 edited the programme and developed the press officer role using new media, starting a club website. I also did the PA during this period. In 2007 I was appointed as club director but in 2011 due to pressure of work I decided to step down from all my duties but was asked to stay on as a director by the chairman so since then have had more of a strategic role at the club, focusing on my blog to write about football. By taking their role as the governing body of the game seriously and toughening up to take on the Premier League, insisting on a proper TV levy to ensure the money is shared amongst all clubs with a focus on improving facilities from the very lowest level. Particularly important is the quality of playing surfaces and changing facilities for those clubs outside the pyramid, especially at junior level. Insist anyone buying rights to broadcast live football in the UK gives a free contract to every single senior club. CAN YOU AFFORD TO GO TO A PREMIER LEAGUE GAME? WHAT CAN BE DONE TO STOP PEOPLE BEING PRICED OUT THE GAME AT THE TOP LEVEL IN RESPECT OF TICKET PRICES? WILL THEY JUST GO UP AND UP AND UP? Yes. I don't think pricing is a particular problem in the Premier League. However the value drops dramatically below it. For example I paid £15 to watch Reading v Bradford in the FA Cup quarter-final, £15 to watch St. Albans v Maidenhead and around £30 to watch Arsenal v Southampton, I know fans in the Championship can pay much more than this. The problem has to be solved by consumers rejecting prices and rejecting TV contracts. If you buy a season ticket and a contract you can't complain - you are part of the problem. Unpredictability is what makes football fun, going on a match on a whim, perhaps because it’s a replay three days after the original tie, being able to browse a ground wandering to spot that suits your needs. This is obviously only present at non league level. Sadly at the top level the best thing about football is the presentation of it’s past. 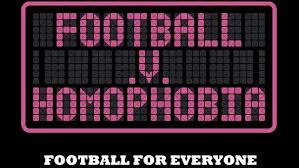 Personally I tend to find watching pro football a largely anodyne experience due to the way its hyper regulated and organised. This is not helped by a you can't say that culture developed by the politicisation of football stemming from militarism on the right and identity politics on the left. Non League football is at its worst when it tries to ape the professional game, e.g. 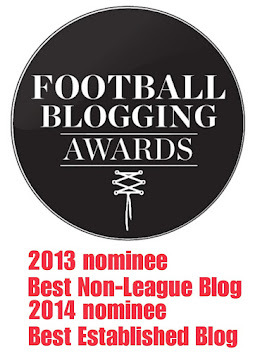 the Conference obsession with being better than the football league. Invest in a boom in coaches to raise the number qualified to levels comparable with Germany, Italy and Spain. Create a culture whereby people become students of the game, demystifying the tactical approach for all, so that an approach led by the head rather than the heart is not seen as literally foreign. Officials fees can be anything up to £200 depending on how far they have travelled although this is equalised at the end of the season across the league. Pitch preparation is low thanks to the volunteers helping the paid groundsman. Costs have pretty much stayed the same and probably gone down since the last recession in real terms, particularly in terms of player’s wages. Maidenhead United play at the highest level of semi-professional level but beyond the dressing room it’s possible to run a shoestring operation with no real part time employees. REFEREEING STANDARDS - ARE THEY GOOD, BAD OR JUST ABOUT RIGHT? WHAT CAN BE DONE TO IMPROVE OR HELP REFEREES? About right. All referees are marked every game and get promoted (and relegated) on their performance across a season. They need to be better supported by the FA, for example making disciplinary systems as clear as possible so people know why players have been cautioned, publicising which refs are being promoted with scores to back it up so that people can see the data rather than the personality. I wouldn't change the way every game at every level is played to exactly the same set of laws. I would try to reverse the primacy of league over cup football by reducing the size of leagues, bringing back limitless replays and getting rid of two legged ties, away goals and mini leagues in cup competitions. And as I've haven't yet gone to bed on April Fool's Day - introducing a nationwide County Cup Winners Cup!